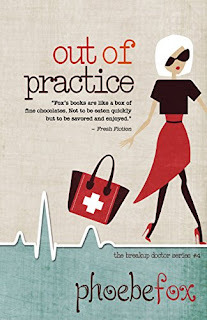 Highly enjoyable final book n the Breakup Doctor series. Despite it having been absolutely ages since I read book 3, it really didn't take long for me to feel right at home again with all the characters in book 4. I loved seeing the recurring characters and patients, and seeing what predicaments Brooke was able to get herself into this time. Thank you to Phoebe Fox for this copy which I have reviewed honestly and voluntarily.